Whether you are missing a single tooth or multiple teeth, it is important that you invest in a replacement solution as soon as possible. Failing to fill the space created by missing teeth increases your risk of developing gum disease, which can lead to the overall shift of your bite, and even result in bone loss. Affordable Dentistry and Orthodontics offers custom dental implants at our Dumfries, VA, practice. These innovative devices mimic the natural structure of the tooth and root system, ensuring long-lasting replacement that looks natural and proves durable. The dental implant dentist from our office has undergone special training and education in restorative dentistry. He is highly qualified to perform a number of invasive procedures with speed and skill. 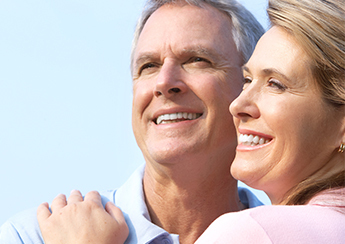 One of the most important services our team provides is dental implant placement. The tooth implants are custom fabricated based on molds of your teeth, allowing the implant to blend in seamlessly with the rest of your smile. As opposed to other removable and temporary replacement devices, implants for missing teeth are permanent solutions that last a lifetime. The base or root of the implant is called the rod, and is placed directly into the gums. The rod is left to form a strong bond with the surrounding bone, guaranteeing it is as secure as your healthy teeth. Contact us at your earliest convenience to set up a consultation with our dental implant dentist! We would be more than happy to answer any of your questions and address your concerns. Our office proudly serves patients from Dumfries, Montclair, Stafford, Manassas, Quantico, and Triangle, Virginia.